“But this is not what Sima Guang is best known for in Chinese history. 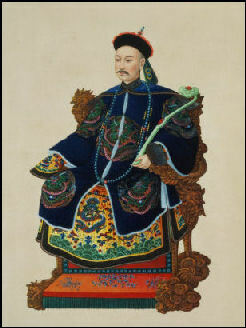 When not attending to the heavy duties of his high offices, Sima Guang devoted himself to the compilation of a history of imperial China that could become the standard for educating all future emperors, and all young men aspiring to official careers. Sima Guang’s text, The Comprehensive Mirror for Governance, was not only authoritative, it was and remains among the largest historical texts ever compiled, stretching over twenty volumes in modern editions. In this respect, Sima Guang resembles a Western conservative politician, known both for his accomplishments as Prime Minister and as author of voluminous, highly regard histories: Winston Churchill.